‘About a year ago I decided that enough was enough. I was sick of fad diets and ‘quick fix’ solutions to my weight issues. I was not happy in my own skin. Only a few short years ago, before having my children, I was pretty fit and happy with myself, and I was not willing to accept that these days were in the past. Sian came recommended by a friend and I knew once I had spoken to her for just ten seconds that she was the personal trainer for me. With a combination of strategically planned exercises, small alterations to my diet and an amazing web of emotional support (that she doesn’t even realise she is giving) Sian has brought me back to life. I have just turned thirty and have two children. I am happy when I look in the mirror now, with or without my clothes on. Sian has become a huge part of my life and one I plan on keeping! I see her once a week. That combined with other exercise that I enjoy such as cycling keep me where I want to be. 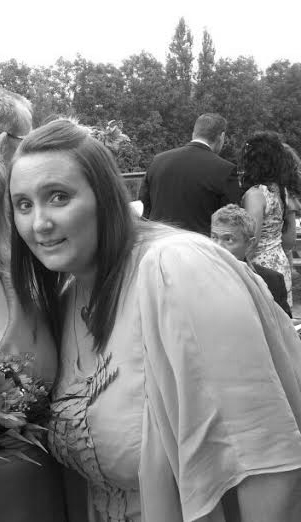 I was verging on a size 16 when I met Sian, too big for my frame and very uncomfortable. I’m a size 10 now and as of yesterday the lightest I have been since I was eighteen. 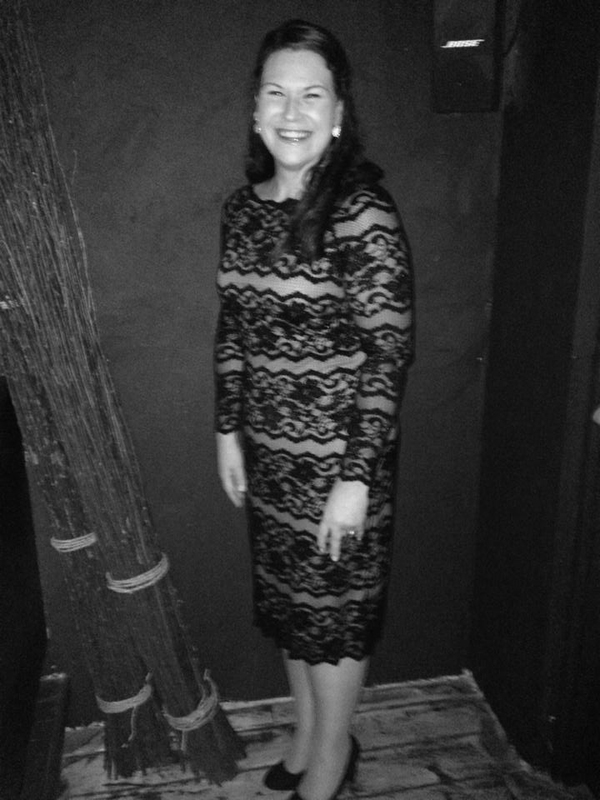 ‘A New Year and the same old resolution – weight loss, but for some reason in 2014 I stuck to it and although it’s taken me over 8 months to lose 3 stone and a total of 32 inches, I feel much happier …and lighter! One of my best decisions was to get in touch with Sian for some fitness sessions to help move things along, seeing Sian once a week gave me that extra push to keep going, when you join a gym there’s nobody there to encourage you to carry on, Sian would turn up on a Sunday morning with her kettle bells and boxing gloves, there was no getting out of it now! I’ll never forget my first session, every muscle ached for days afterwards, I was in pain, but good pain, the kind of pain that made me realise I had worked hard (for a change!) and I just kept on thinking ‘no pain…no gain’ and kept on going. Hints and tips from Sian about little things like interval training was a big help and meant that I could do little sessions mid-week before seeing Sian again. Despite my initial doubts about letting Sian measure me on the first session, I’m so glad that I did because seeing the difference now is such a fab feeling and it’s lovely being able to go shopping for clothes 3 dress sizes smaller that I was at the start of the year! ‘I am delighted with the results of the transformation contest! Sian has really helped me to improve my nutrition and fitness. I always enjoy our Smash the Fat Boot Camp sessions – each session is different and although hard work we always manage to have fun too! Smash the Fat has really helped to change my life for the better. Thanks to Sian’s encouragement and motivation, I have lots more energy and a new zest for life! 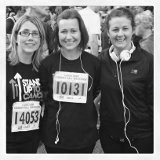 Sian has even inspired me to take up running! I wouldn’t even run for the bus before, now I’m running 10k! 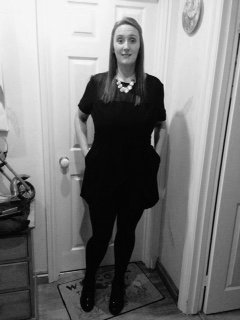 Rebecca has lost an amazing 7 stone in 2014 – here is her amazing story! ‘I contacted Sian with some trepidation, asking for help but feeling my plea was literally too large a task. 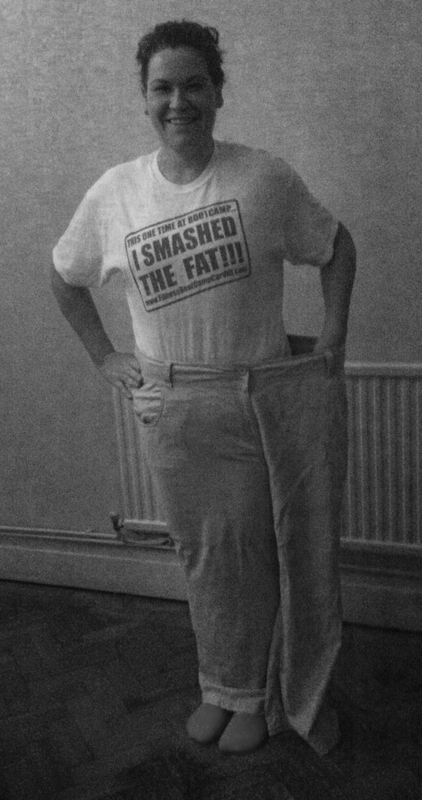 I was seriously unfit, very overweight with no self esteem and too conscious to train anywhere other than the comfort of my conservatory!!! Any barriers I had were not an objection for Sian and she gladly was up for the challenge being understanding, knowledgeable and enthusiastic. 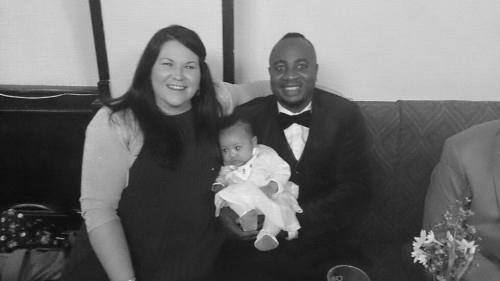 The knowledge and support Sian offered was endless. I had tailored sessions that pushed me to my limits but were doable and measurable so I had a sense of achievement. Endless nutrition advise and support. Stretching and general well being advise and so much more. Most importantly for me was the belief Sian had in me and so I was then able to re install in myself. I looked forward to every session and really believe Sian did too with her effervescent energy. Sians’ keen interest and commitment to my health, fitness and journey was and still is a constant. Sians’ passion and enthusiasm is infectious and hugely motivating. I lost 19 inches in 8 weeks and even though I did the sweating and the clean eating I credit so much of what I achieved to Sian. 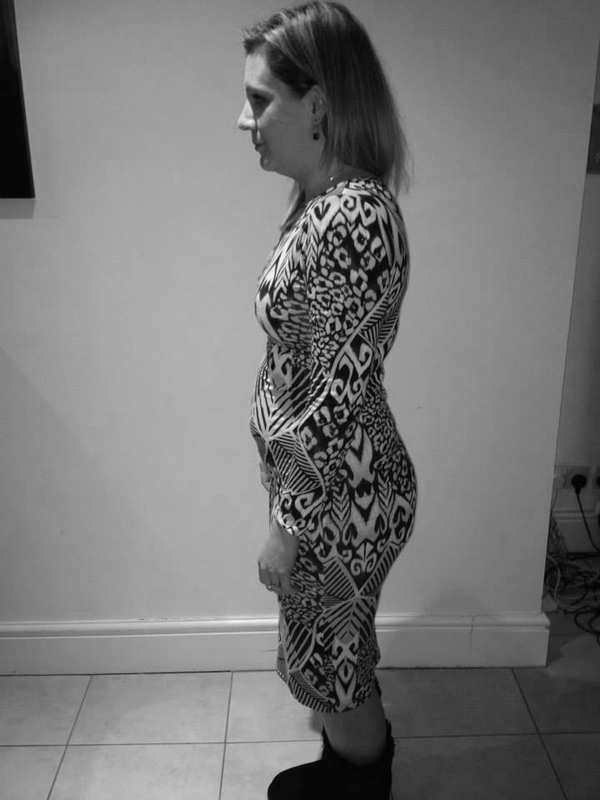 ‘I piled on the pounds after having a baby 6 months ago, and really needed a kick up the backside to help get me back on track to lose the weight and regain my fitness. Sian was just what I needed! I really enjoyed the varied nature of the sessions. I learned so much about nutrition and Sian was always at the end of the phone/computer if I had any food related questions. 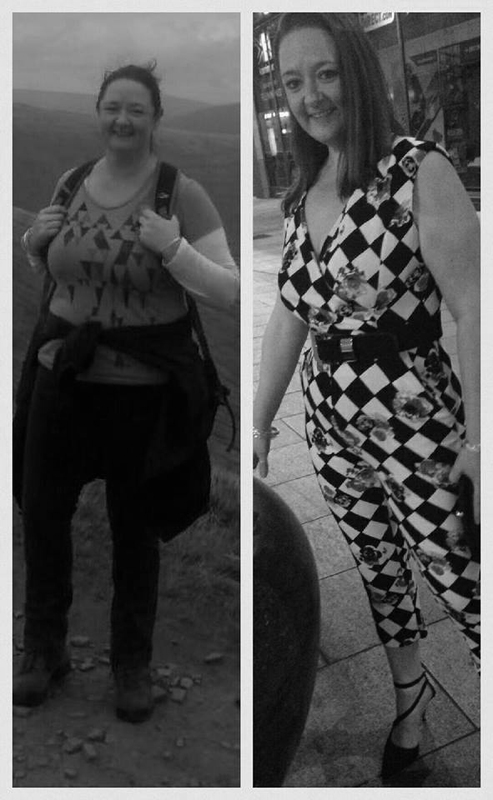 ’31st December 2013 – I was nearing my 60th birthday, totally unfit and realised I needed to take action so that I could become healthier and look better in my clothes!! 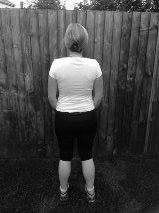 I found Sian Thomas from Calon Lan PT on line and started working out with her mid-January 2014. 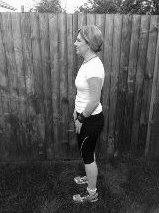 Sian is a brilliant trainer who encourages, motivates and praises her clients. She ensures client safety by demonstrating, then checking they understand each technique before they try. In addition, she gives sound advice about nutrition/diet. ‘I came to Sian with a desperate plea. I was due to get married in two months and my wedding dress was still a squeeze to get on! I had a baby 12 months ago and hadn’t really done anything about the baby weight and the excess pregnancy eating. Sian was fantastic. She helped me with my nutrition and drew up an amazing workout plan. Her sessions are fun and we are always having a natter. She devised sessions of different circuits which were within my fitness levels, however she pushed me every session to go that little bit further. Not only was I losing weight and toning up fast, I was feeling brilliant! I felt healthier and full of energy. ‘October the 6th 2013 I achieved the impossible, twice! 1. I had completed for the first time in my life a New Years resolution. 2. I had RAN the whole of Cardiff half marathon in two and a half hours (ish)!!! Not bad for someone who couldn’t run around the block in her first PT session on January the 2nd of the same year. 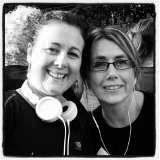 Massive thank you Sian for all your help and encouragement and helping me get the running bug. 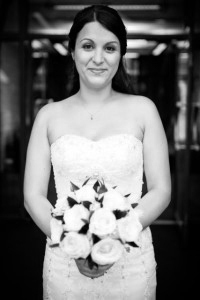 ‘I first contacted Sian as I wanted to try and lose a little bit of weight before being a brides made. I’m not somebody that enjoys exercise and I was a little bit concerned that I wouldn’t be able to do the exercises but Sian was excellent. We were working with Sian twice a week for six weeks. Although waking up at 6am was hard Sian made the session’s fun and we never did the same workouts twice. Her advice about healthy eating has transformed my eating habits and has made me rethink some of the choices I was making. I lost weight and I felt a lot more confident and healthy. I have continued to train with Sian. The main reason is because she is patient, enthusiastic (even at 6am!) and she inspires me to do a little bit better each time. She is friendly, flexible and happy to listen to any concerns we may have. ‘I have been training with Sian ’Calon Lan’ for almost sixth months now and she is absolutely fabulous! Not only do I have much more energy and look and feel better I find myself actually enjoying the early morning training sessions! She makes each session varied, combining interval training, core work and resistance work and it’s great to train outside in the fresh air. She is able to be flexible with her time, which works well for me with my job and ensures that I train at least once a week. ‘After celebrating a big birthday I thought it was time for me to get fit and lose some weight! I have never been a person that enjoys exercise and going to the gym doesn’t appeal to me at all! I read about Sian in the Western Mail and I contacted her for a chat. I felt comfortable in her company immediately and I have since purchased two PT packages from her. Sian comes to the house once/twice a week. The workouts that she puts together are interesting and diverse and the boxing is my favourite workout. I suspected that I had never eaten healthily after following the information I have found in the media over the years. The advice that I have been given from Sian about food and healthy eating has transformed my way of thinking about what I eat. I’m delighted with the results that I have achieved so far and I enjoy my sessions with Sian. ‘My approach to keeping fit and exercise is a balancing act between intention and motivation. The intention is always there, but locked in battle with my motivation. I used to come back from work and half heartedly put my gym kit on, but I didn’t always make it out of the front door. Now, I put on my gym kit, there’s a knock on the door, the trainer and equipment come to me. I won’t lie, Sian makes me work hard but I can feel and see the benefits. I’m fitter, a few centimeters slimmer and feel healthier and more energised. ‘After paying for membership to several gyms without success over the years I was delighted when Menter Caerdydd organised an over 55s fitness class on Wednesday mornings. Everybody was a little bit apprehensive to begin with but after one session with Sian we were all full of enthusiasm and we were looking forward to the next session. After speaking to Sian at the end of one session about one on one personal training I decided to go for it and sign up for 12 sessions. Sian comes to the house twice a week. The exercises that she puts together for me are interesting and diverse. She tailors the sessions to the individuals needs and the hour flies by in her company. Although it’s hard work I am happy to push myself to complete the workouts and I feel fitter and fitter as time goes by. I feel that I have more energy now and as a consequence of my increased level of fitness I enjoyed a skiing trip over New Year without feeling like my arms and legs were tiring after an hour on the slopes. I have since continued training with Sian. Although the aim of the sessions was to increase my fitness levels, seeing my body shape changing and my clothes fitting a lot better has been an extra incentive for me to keep going. I am delighted with the results that I have achieved so far and I really enjoy my sessions with Sian. ‘Cysylltais gyda Siân yn gyntaf er mwyn ceisio colli ychydig o bwysau cyn bod yn forwyn priodas. Nid wyf yn un am ymarfer corff ac roeddwn yn poeni ychydig ni fyddai’n gallu gwneud yr ymarferion ond roedd Siân yn wych. Roeddwn yn gweithio gyda Siân dwywaith yr wythnos am chwe wythnos. Er oedd codi am 6 yn y bore yn anodd roedd Siân yn gwneud y sesiynau yn hwyl a doeddwn ni byth yn gwneud yr un peth dwywaith. Mae ei chyngor am fwyta’n iach wedi trawsnewid fy ffordd o fwyta ac wedi gwneud imi ail feddwl y dewisiadau oeddwn yn gwneud. Collais bwysau ac roeddwn yn teimlo llawer mwy hyderus ac yn fwy iach. Rydw i wedi parhau i weithio allan gyda Siân. Y prif resymau am hyn yw ei bod hi’n amyneddgar, yn frwdfrydig (hyd yn oed am 6 y bore!) ac yn fy ysbrydoli i wneud ychydig bach yn well pob tro. Mae’n gyfeillgar, yn hyblyg ac yn barod i wrando ar unrhyw bryderon. ‘Yn dilyn dathliad pen-blwydd arbennig, teimlais bod yr amser ‘di dod i fi geisio fod yn fwy heini a cholli pwysau! Dydw i erioed ‘di bod yn berson sy’n mwynhau ymarfer corff a nid yw’r syniad o fynd i’r gym yn apelio ataf o gwbl! Darllenais am Siân yn y Western Mail a chysylltais â hi am sgwrs. O’r funud cyntaf teimlais yn gartrefol yn ei chwmni. Rwyf eisioes wedi prynu dau ‘package’ wrthi. Mae Siân yn dod i’r ty unwaith/ddwywaith yr wythnos. Mae’r ymarferion mae hi wedi eu cynllunio ar fy ran yn ddiddorol ac yn amrywio’n wythnosol- y bocsio yw fy hoff weithgaredd! Tybiais mod i erioed wedi bwyta’n iach, gan ddilyn y cyngor a glywais yn y cyfryngau dros y blynyddoedd. Mae’r cyngor ges i gan Siân am fwyd ac am fwyta’n iach wedi trawsnewid fy ffordd o feddwl am yr hyn rwy’n ei fwyta! Rwy’ wrth fy modd gyda’r canlyniadau hyd yn hyn ac yn mwynhau fy sesiynau gyda Siân. ‘Ar ôl talu aelodaeth i nifer o gampfeydd dros y blynyddoedd, heb lwyddiant, roeddwn wrth fy modd pan drefnodd Menter Caerdydd ddosbarth Cadw’n Heini 55+ ar fore Mercher, yn ystod Tymor yr Hydref 2012. Roedd pawb ychydig yn betrusgar i ddechrau, ond ar ôl un sesiwn gyda Siân, Calon Lan, roedd pawb yn llawn brwdfrydedd ac yn edrych ymlaen at y sesiwn nesaf. Ar ôl sgwrs gyda Siân ar ddiwedd un sesiwn, a sylweddoli ei bod yn cynnig sesiynau unigol fel Hyfforddwr Personol, penderfynais fynd amdani, a threfnu 12 sesiwn. Mae Siân yn dod i’r tŷ ddwywaith yr wythnos. Mae’r ymarferion mae hi wedi eu cynllunio ar fy rhan yn ddiddorol ac yn amrywiol. Mae hi’n teilwra’r gweithgareddau yn ôl anghenion yr unigolyn, ac mae awr yn hedfan yn ei chwmni! Mae’n waith caled cofiwch! Ond dwi’n hapus i wthio fyhunani wneud yr ymarferion, sydd yn dod yn haws fel mae’r amser yn mynd yn ei flaen. Rwy’n teimlo’n fwy egnïol, ac o ganlyniad i fy lefel uwch o ffitrwydd, roeddwn wedi mwynhau gwyliau sgiio dros y Flwyddyn Newydd heb deimlo bod y breichiau a’r coesau’n blino ar ôl awr ar y llethrau! Tybiais fy mod i erioed wedi bwyta’n iach, gan ddilyn y cyngor a glywais yn y cyfryngau dros y blynyddoedd. Mae’r cyngor ges i gan Siân am fwyd ac am fwyta’n iach wedi trawsnewid fy ffordd o feddwl am yr hyn rwy’n ei fwyta! Er taw codi lefel ffitrwydd oedd fy mwriad gwreiddiol, mae gweld fy nghorff yn newid siâp, a’r dillad yn ffitio’n well yn ddigon o ysgogiad i barhau â’r sesiynau.